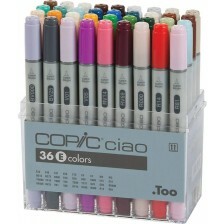 Ciao 36pc Set E. Scores of anime, manga, and comics artists as well as landscape, product, architecture, and fashion designers prefer Copic markers because of their ultra-blendable, low odour, alcohol based inks. Unlike water-based inks, which tend to pill and oversoak the paper while blending, Copics mix on the surface to deliver the wonderfully rich blends they’re known for. 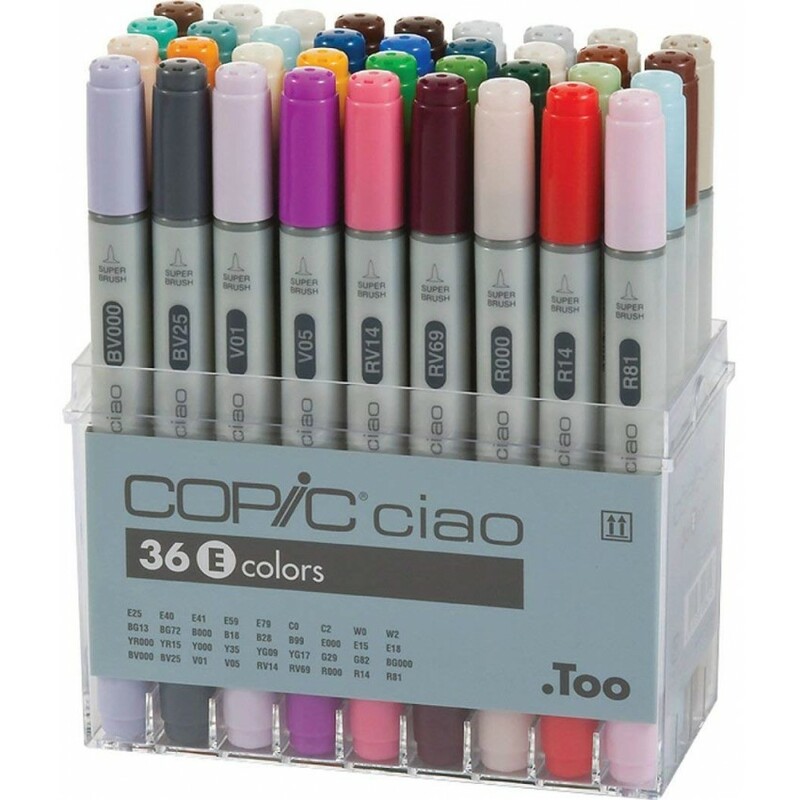 This outstanding performance has distinguished Copic markers as the celebrated colouring tool within professional, semi-professional and hobby circles alike.